So you're going international, or maybe you have already and it's time to step your program up a notch. Most companies jump immediately to searching for distributors. And international distribution may be the right model for your company and your product....but it also might not. The right model for your company and product will depend on a variety of factors (download our free eBook for more details.) And keep in mind that your target global markets are not homogeneous. The best model in one case could be a nightmare in others. 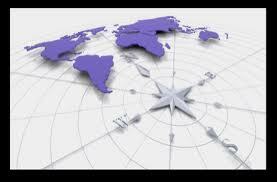 There's no reason that your go-to-market strategy for international business development can't employ multiple models. Actually choosing the optimal model is an easy, cerebral exercise. It's just the first step, and it's the easiest. Assuming that, like most companies in most markets, you opt for international distribution as your primary model, then your distribution channel management becomes a critical task. Critically important is having a documented strategy (with collateral and materials) for training, compliance, project management, engagement and expectations. I write often on the challenges of channel management in international distribution - and there are many challenges. Communication, empathy and complementary selfish goals are important in successful channel relationships. Want to explore how Consilium Global Business Advisors can help you optimize your international distribution? Contact us to discuss your requirements.